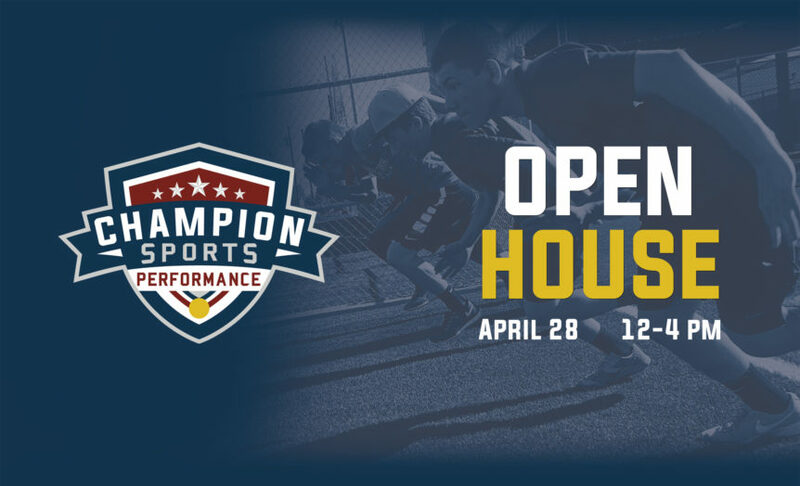 Blog Champion Sports Performance Open House! 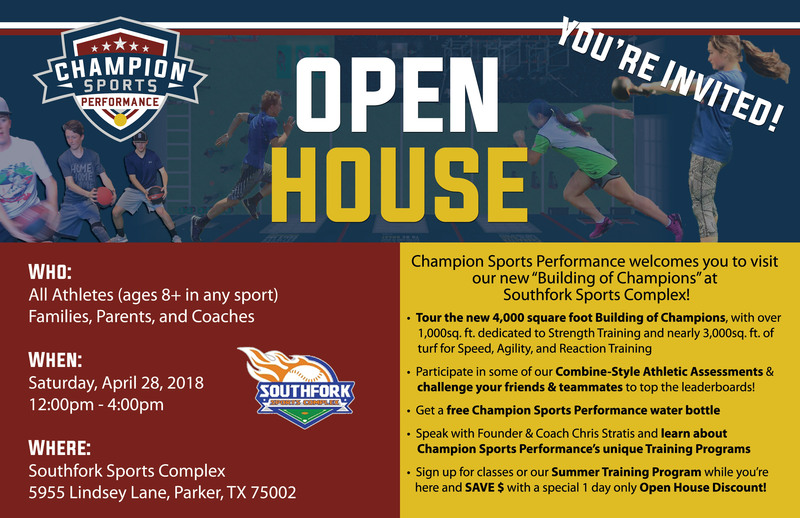 Champion Sports Performance is moving into a NEW building at Southfork Sports Complex, and we're inviting you to come celebrate with us at our Open House event! Participate in some of our Combine-style Athletic Assessments and challenge your friends & teammates to top the leaderboards! Speak with Founder & Coach Chris Stratis and learn about Champion Sports Performance’s unique Training Programs and how they can help you become faster, stronger, more athletic, and resistant to injury. Sign up for classes or our upcoming Summer Training Program while you’re here and save $ with a special 1-Day Only Open House Discount! Do you know an athlete who could benefit from becoming stronger, faster, and more athletic? If you know an athlete ages 8+ at any level in any sport, please share this info and bring them with you to the Open House! Invite your teammates. Invite your child's teammates. I would love to talk with your coaches as well to hear what they are seeing in their athletes and to share what we can do to help, so invite your coaches to come check out the Open House, too! The team with the most athletes to come to the event will win a FREE Team Speed Training Session with Coach Chris, so make plans to come with your teammates and coaches! Adults, if you're interested in our Adult Fitness Classes you should also come and bring your friends who may want to work out with you.